Today’s blog post will be advice for visiting HalloWeekends at Cedar Point on a Friday Night. Coaster to Coaster has made important schedule changes that you should be aware of. We will be publishing blog posts and YouTube videos on Saturday, Sunday, and Wednesday evening at 6:00 p.m. EST. Due to schedule difficulties and to schedule when to produce content, this is the best option. There will be certain times when a video or blog will be unable to be posted on time. Every effort will be made to publish things on time. When visiting HalloWeekends, a Friday night is one of the ideal days to visit. Before I begin, if you are looking to visit with younger children, do not visit on Friday. Why? The Great Pumpkin Fest offers lots of activities and attractions children will enjoy. Lots of shows and kid-friendly haunted houses are only operating on Saturdays and Sundays. Therefore, due to The Great Pumpkin Fest being closed on Friday, I would not recommend you visit then. You will not get your money’s worth. Also, if you are looking to do the absolute most with your day, visit Sunday. I will publish an article on that day after the Saturday article. Those will be coming soon! Stay tuned! When arriving to the park, arrive early, if possible. I would start off with doing the rides. Do all of the rides you would like to do. Than, if you have time, do a haunted house. I would highly advise you to be aware that haunted house lines can get lengthy. While going to each of the haunted houses, take advantage of the scare zones placed throughout the park. You do not need to wait for these and they are extremely fun. Whenever you are hungry, stop at Mrs. Keat’s Smokehouse or Chic-fil-A while in the back of the park. Normally you will start to get hungry around 9 p.m. I would also suggest that you wait to do rides for at least 30 minutes, unless the ride of your choice (the one you are going to ride) has a short wait. Steel Vengeance or Maverick (if you are in the back of the park) are good rides to choose. Addressing shows, try and match up the times with your visit. If you happen to be right near a show that starts in 2 minutes, see it if desired. Fridays at the park are about using your time wisely and making good decisions. Sounds like something that would happen outside of an amusement park, right? But, it can happen inside of an amusement park too. Also, if you would like to toss in more rides, consider this. I would try and work your way to the back of the park or vice-versa. Find rides that have a short wait and are easily accessible. Check out this website here for wait times submitted by users. Another note, Cedar Point’s wait time app is not reliable at all. Use the website for more accurate wait times. If you follow the steps given in this guide, you will be sure to have a pretty decent visit to the park. Any questions? Need suggestions or need to know things about the park? 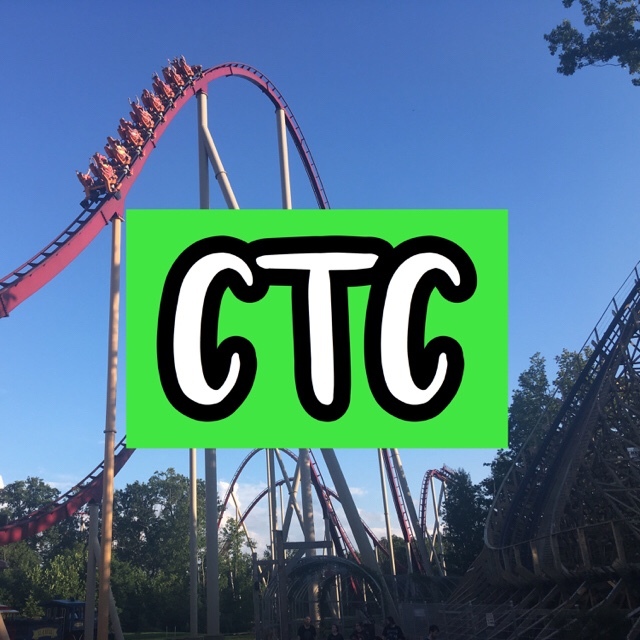 Contact me at coastertocoasterofficial@gmail.com or on Instagram (coaster_to_coaster) or Twitter (@coastertocoast) and I’ll try and answer your question. Thank you for reading! I really hope you enjoyed!